Could you tell us a bit about yourself, what you sell at Toyshades and how you got started? British Sunglasses might sound like the dumbest idea you ever heard given our British climate. And maybe it is a dumb idea. But, some of the best ideas in history started out as crazy notions. Toyshades British Sunglasses are an alternative and affordable brand. We offer high quality sunglasses at an amazing price point. We run our own supply chain. All in-house. That’s a supply chain that runs over 5 countries before the finished product arrives at our office in West London. We could simplify the supply chain, but if we did, we couldn’t sit at such an affordable price point. Offering a great value is important to us. Our first sale came like every sale - via our Shopify webstore. The biggest challenge for us has been getting our name out there. Expanding our social media footprint is key. Shopify is the market leader. Any problem we find along the way is never anything new for the Shopify staff. Their experience with other stores mean that our problems are usually resolved very quickly. Believe it or not, the startup process was not the hardest part. We had good people around us right from the start. One thing I wish I had known earlier is what a strong brand Britain is. Had we realized, we would have pushed the “Britishness” of the brand earlier. I am only going to list a couple because they are vital to a business like ours. First, an app that links social media to our webstore. There are a few of them to choose from, but the main one is the Instafeed app, which creates a link from Instagram to your store and keep images fresh on the homepage. 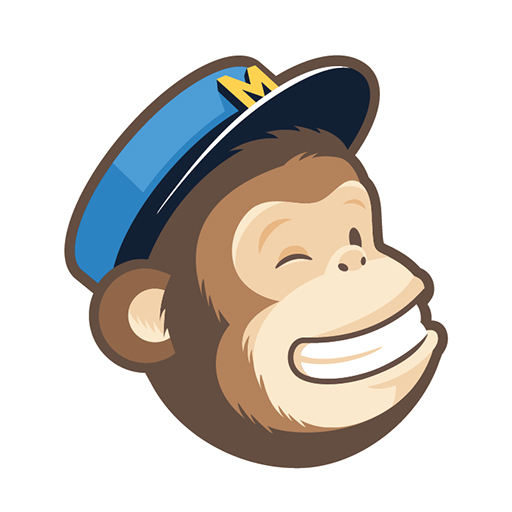 The other useful one we use is Mailchimp for Shopify. What strategies have you used to attract more leads and grow Toyshades? Getting exposure for your brand is really the toughest part. Expanding - not just our social media footprint, but also our engagement with our followers - has been key to our growth. We use email and Facebook. However, we’ve recently discovered that Instagram and Twitter have been more effective. We have also engaged with some brand ambassadors including British Punk Band Katalina Kicks, Team GB Skeleton athlete Maddy Smith and the British musician/adventurer Tom Jack Jackson. Influencer marketing is so huge right now. Any advice for making those connections? We are all bombarded with “influencers”. Most of whom are just giving positive feedback in return for cash! The public are not stupid and are beginning to see through this sham. I think the next 12 to 18 months will see a backlash against this sort of “paid influencing”. The important thing for brands like us is to find influencers and ambassadors who gel with the brand. People who feel the brand and not just someone who will sell their opinion to the highest bidder. We have been very lucky to find our current ambassadors. Maddy is a world class winter athlete. She not only wears Toyshades while representing our country, she also gives us invaluable insight when she tests our new products. Toyshades look great, but that’s not enough for us. We want Toyshades to perform well in the absolute harshest of environments. Maddy takes Toyshades to some of the world’s toughest winter sports destinations and pushes our products to their limits. Likewise, our relationship with the UK Punk band Katalina Kicks is very important. British punk is back and Katalina Kicks are at the forefront of that revival. The fact they’re bringing Toyshades to the centre of the UK new music scene is a great honour for us. We have enjoyed growth of about 6% per month of the course of 2018. Of course, we have good months and bad months - but the trend is positive. The growth is down to our message getting out. We are doing our best to expand outside of the UK. For instance, we now ship worldwide for free and have multilingual staff answering emails. Have there been any challenges with international shipping? Any advice for others thinking of expanding their reach? We find that the key with other markets is to know your customer and do your research. We had to familiarize ourselves with cultural differences without generalizing. For instance, we found that more Germans prefer to pay by bank transfer rather that a credit card, North Americans often prefer their Toyshades to delivered “signed for”. Israelis are more likely to multi-buy and Iranians prefer a cash-on-delivery service. We have had orders from some exotic locations – Korea, Iceland, Libya, Jamaica and even Croydon! Free shipping is the new norm. Global customers expect global free shipping – even to Croydon! We are working towards a global reach. There are no barriers to style or value. Theme park owners are a bit out of fashion these days, however, I am inspired by Roland Mack. Ignoring expert advice, he opened a rollercoaster park in his home town in Germany, many miles from any real tourist infrastructure. Mr Mack’s Europa Park is now the biggest theme park in Europe, second only to Disneyland Paris in terms of visitors. All from a crazy idea. A bit like the crazy idea that is British sunglasses! Our website is www.toyshades.com. We are also active on social media, as mentioned, including Facebook, Instagram and Twitter.